The Super Bowl is America’s most watched national sporting event. On Super Bowl Sunday, February 1, there will be lots of game day socializing that may include drinking. That’s why the California Office of Traffic Safety and police, Sheriffs, the CHP are urging football fans to choose sides now: drinking OR driving. If you plan on drinking on Super Bowl Sunday, designate a sober driver to get you home safely. The Concord Police Department will be deploying Roving DUI Saturations Patrols during and following Sunday’s Super Bowl matchup. The DUI operations will be at undisclosed locations within the city where collision data reveals high incidents of DUI crashes and arrests. According to data from National Highway Traffic Safety Administration, in 2013 there were 867 people killed in alcohol-impaired-driving crashes in California –29 percent of all crash fatalities in the state. A driver is considered alcohol-impaired with a blood alcohol concentration (BAC) of .08 or higher, the legal limit. This February 1, don’t become another tragic Super Bowl stat. For those who plan to drink, leave your keys at home. Designate a sober driver, whether it’s a friend, relative, taxi, or public transportation. For those who plan to drive, refrain from any alcohol. Instead, enjoy the game with food and non-alcoholic drinks. Being a sober, designated driver is a key role on Super Bowl Sunday. You might just save a life. Funding for this operation is provided by a grant from the California Office of Traffic Safety (OTS), through the National Highway Traffic Safety Administration. OTS is offering a free mobile app – DDVIP – aimed at thanking the sober designated driver with perks and free offers at area bars and restaurants. Available for iPhone and Android. Never let friends drive if they have had too much to drink. 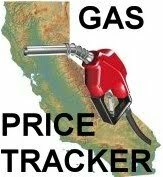 Stay connected with OTS via: http://www.facebook.com/CaliforniaOTS, http://twitter.com/#!/OTS_CA, www.ots.ca.gov. This Super Bowl Sunday, be a team player: Fans Don’t Let Fans Drive Drunk. For more information, visit www.TrafficSafetyMarketing.com. OK it’s time for someone to tell us this is unconstitutional. They would catch more people if they drove around. This is a waste of our tax dollars. Cops just do it for the OT. It takes officers off the street. We’re going down a slippery slope. Why do they announce the locations? If it catches one drunk, it’s worth it. If you’re not drunk, you have nothing to fear. Fans don’t let fan’s drive drunk, LOL!! Fans WILL let fan’s kids who didn’t get a measles shot hang out others without caring about their health. Yes you forgot the one about the illegal aliens will not get their cars impounded. I’m not a fan of the Super Bowl,,,,,,,,,,,,,I’m going to have coffee at Peets on Salvio,,!!!!!!!!!!!! 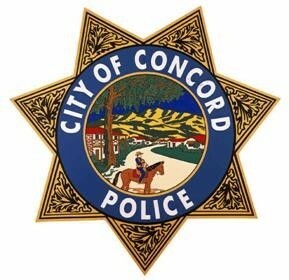 My compliments to the concord pd in their efforts to erode our civil liberties. Do tell Howard, how is putting extra officers on patrol eroding your civil liberties? Your chances of dying in a DUI accident are close to zero. Keep believing the lies that it’s a dangerous scourge. DUIs are tax collection opportunities plain and simple! What are my chances of being injured or having my property damaged by a drunk driver? Have another cocktail.